After putting in years of hard work and training, you have decided that you want to be a professional ballet dancer. Sounds like every little girls dream, right? It definitely is everyone’s dream to do what they love for a living and to be able to get paid for it, but with so many companies only offering unpaid trainee and apprentice positions dancing can sometimes turn into a dreaded job. With the economy going into a recession a few years ago, funding for the arts definitely suffered more than it was already suffering…and it obviously isn’t going to bounce back as quickly as the rest of the working world. This is where the young dancer needs to be economically smart. Dancing is still a job no matter how much we love the self-fulfillment that we get from artistic expression. And when you do a job, especially on a long-term or contractual basis, you should receive payment. A lot of these unpaid offers that you may get from companies may sound very attractive. They may give you pointe shoes and free chiropractic/ massage therapy visits, but make sure that this is the right deal for you. It may sound like an awesome idea to move away from home and go live out your dream, but please consider how you will be able to fund your passion. Will Mom and Dad help out? How much money are they willing to contribute? Will you have to get another part-time job? Will you have to get two other part-time jobs? Even more importantly- Will you have time to work a part time job? The other thing that you need to consider is whether or not you will actually get time dancing with the company. A lot of apprentice programs these days sell you on the fact that you are joining the apprentice or trainee group of a company, however there is very little interaction with the actual company. (company class, rehearsals, etc) A lot of apprentice and trainee programs have their own seperate classes, rehearsals, and sometimes don’t even get a chance to perform with the company. You can look at it as an extra year of schooling. I don’t want to tell you not to take an unpaid apprenticeship, as there is definitely a value to the learning experience, but be very picky as to which program you choose. Companies are able to “try it before they buy it” so to speak with these ever growing second companies and apprentice programs. I have been fortunate enough in my career to always have secure paid ballet employment, but it pains me to see young dancers who aren’t being paid struggle. When I say struggling I mean working 2 part time jobs in addition to dancing to pay the bills or put food on the table. If you are like the majority of young ballet dancers right now, you are getting ready to go away for a summer program soon. You worked so hard to prepare for your auditions. You even got in to the summer program of your dreams, but the preparation doesn’t end there. You want to take as much away from that summer intensive as possible and come back a new and improved dancer in the fall! So what can you do to maximize your ballet summer intensive experience? 1.) Listen– I know that it may sound simple, but you must listen and absorb everything that the instructors are saying. Most ballet summer intensive programs have guest teachers like Gelsey Kirkland or David Howard who are fountains of knowledge and experience. You don’t want to miss a word that they are saying as one small correction could make a world of a difference in your dancing! 2.) Write it Down– I talk about the “dance journal” a lot in my previous posts and in my book, but I can’t stress enough just how important it is for you to write down all of your corrections. This is something that I did in my professional career as well as when I was a student. Years later you can look back at all of your corrections and see how much progress you have made. 3.) Focus– Let’s face it, your parents are paying all of this money for you to go away to a summer intensive for you to dance. They are not paying for you to go goof around or worse yet, get in trouble. Share experiences, have fun, and make friends with the fellow dancers but don’t let it get in the way of your education. Remember, you are there to dance! Absorb everything you can from the new teachers you will be meeting and learning from this summer! Come back to your year round ballet school confident and as the best dancer that you can be. 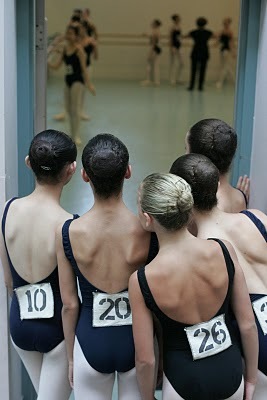 Keep these tips in mind as you head out to your ballet summer intensive!